Since 1975, St. Vincent Warrick in Boonville, IN, continues to provide “The Care You Need... Close to Home” to the communities of Warrick, Spencer, and Pike counties. As a critical access hospital, we have 25 inpatient acute care beds, a 24/7 emergency department, a swing bed program, and a geriatric Serenity Unit for behavioral and mental health needs. St. Vincent Warrick is accredited by The Joint Commission, a national, independent, not-for-profit healthcare accreditation and certification organization. Outpatient medical services include multispecialty medical care, all in one convenient location. 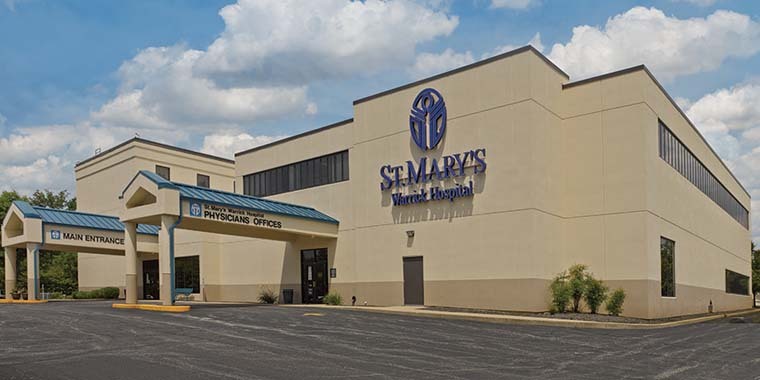 St. Vincent Warrick is part of an integrated network of healthcare through St. Vincent Evansville and supports the tri-state region and southwest Indiana. Cardiopulmonary Rehabilitation for patients diagnosed with and/or treated for heart or lung disease. For more information call 812-897-7158. Continuing Care Program for post-acute care after a major surgery or hospitalization due to a cardiovascular condition, COPD, joint replacement, wound and ostomy care, and cancer care. Daily nursing care and therapy are available to help patients meet individualized healthcare goals. Day Treatment and Infusion Services offer a variety of services including blood transfusions, osteoporosis injections, iron infusion, IV hydration and antibiotic therapy, reclast infusions, and wound care. We are also a certified Tysabri infusion site. For more information call 812-897-7240. Multispecialty Specialty Clinic is part of the St. Vincent Evansville Southwest Region network of care and brings physician specialists to St. Vincent Warrick: Cardiology and anti-coagulation services; endocrinology and diabetes care; general surgery, neurology (electromyelograms and nerve conduction studies), ophthalmology, orthopedics, podiatry, pulmonary and urology. For general information call 812-897-4800 or see all providers. Medical Imaging services are provided by board certified radiologists and registered technologists. X-rays are walk-in services and all other types of imaging modalities (MRI, CT, ultrasound, nuclear medicine, and mammography) are by appointment, call 812-485-6020 (option 1). Rehabilitation Department is staffed with licensed physical, occupational and speech therapists. All therapists are qualified to treat all age groups — newborns to geriatrics. The staff provides services to assist in developing and restoring functional mobility as well as disabilities related to cognitive and developmental delays. Our therapists have specific expertise in treating heart, lung disease, stroke, neurologic problems, and orthopedic (bone and muscle) conditions. The cardiac rehab program is part of our rehabilitation department. At the hospital, our swing bed unit provides comprehensive therapies and care. For more information call 812-897-7158. Respiratory Therapy offers diagnostics and treatments for heart and lung diseases. Comprehensive services include: overnight oximetry; pulmonary function testing; treadmill stress testing; 24/48-hour Holter monitoring; 30-day event monitoring; walking oxygen titration; and a smoking cessation program. To schedule an appointment, call centralized scheduling, 812-485-6020 (option 1). For information about services call 812-897-7234. 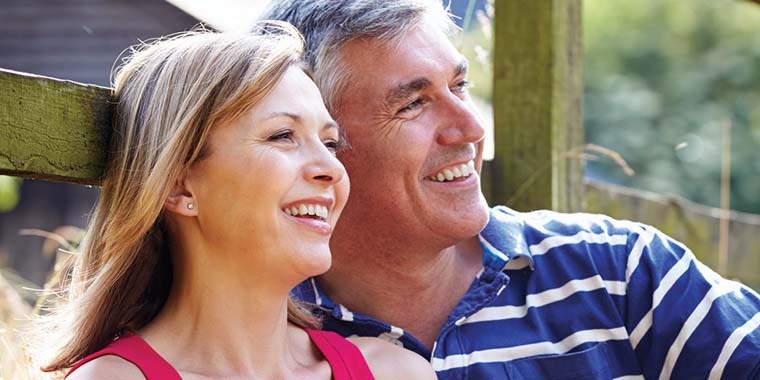 Serenity Unit specializes in the behavioral and mental healthcare of adults 60 years of age and older. The psychiatric team includes a psychiatrist, medical doctor, social worker and mental health nurses with experience in: Depression, anxiety, bipolar disorder, schizophrenia, psychosis and paranoia. Comprehensive medical and psychological evaluation are provided along with individual, group and family therapy. Aftercare planning is also provided to maintain improvement made in treatment. For more information, call 812.897.7440. Surgery services are provided by board-certified surgeons and anesthesiologists, and represent general, endoscopic and laparoscopic surgery as well as orthopedics, podiatry, urology and ophthalmology. Our full-service surgery center has advanced surgical image-guided technology for minimally invasive inpatient and outpatient procedures. For more information call 812-897-7352. Our swing bed program helps patients transition (swing) from one level of care to another within the hospital. After being hospitalized due to a surgical procedure or treatment for a complex medical condition, some patients may benefit from continued skilled nursing and rehabilitation therapies, which are available through the swing bed program. Learn more. Wellness Program offers a well-equipped exercise gym open to the community by membership. The program is monitored by an exercise physiologist/personal trainer and provides a free, introductory personal exercise program upon request. Ongoing 30- and60-minute personal training sessions are also provided for a fee. Monthly membership fee structure: single $30; member and spouse $45; youth (18 years or younger with parental consent) $15; College Break Special $7/week (Spring, Fall and Christmas) with a college ID. For more information call 812-897-7158. Thank you for choosing St. Vincent Medical Center for your inpatient medical care. Providing you with the best possible patient experience – the St. Vincent Experience - is the central focus of everything we do. Our RN case managers and social workers are here to help you navigate through your hospital stay, including discharge planning, and can be a resource to you in identifying your options with your insurance company. Our business office staff will be happy to assist you in filing your insurance forms so your account will be credited in a timely manner. For questions about an upcoming hospitalization, please call one of our Patient Advocates at 812-485-8585. A Hospitalist is a physician whose primary professional focus is the care of hospitalized patients. Their goal is to ensure your patient care experience is coordinated with your personal physician as seamlessly as possible following your hospitalization. All St. Vincent Hospitalists are board certified. Once you are discharged from St. Vincent, your care returns to your primary care physician or internist. St. Vincent nursing staff is committed to our Mission, Vision and Values and aspires to be regionally and nationally recognized for our excellence in evidence based nursing practice, nurse work environment and our commitment to community. St. Vincent nursing team serves as strong patient advocates always putting the patient first. We strive daily to improve and make a difference. On occasion, medical and nursing students may participate in your care under the supervision of a physician or other medical professional. If you would prefer not to have students participate in your care, let your nurse or physician know. St. Vincent believes in providing the highest quality of care available for the patients of the Tri-State area. We want you to be as well informed as possible about how well St. Vincent performs when compared against the rest of the nation in national quality performance measures. Our goal is to consistently outperform the rest of the nation in as many quality indicators as possible. 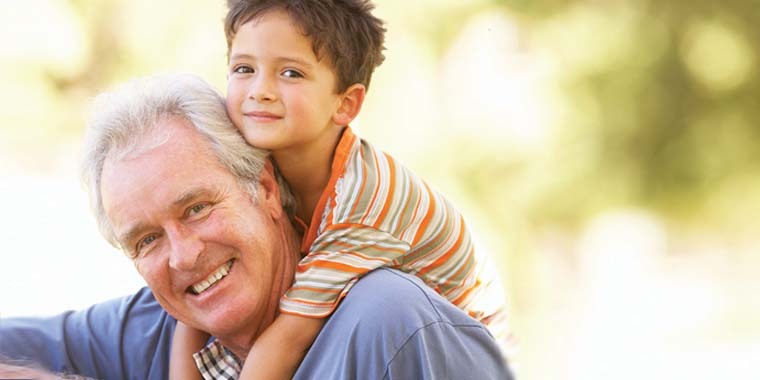 It is important to make your future healthcare decisions known to your family, friends and healthcare providers. Advance Directives (AD), such as a Living Will or Appointment of Health Care Representative, are legal documents that state your desires should you lose the ability to make your own healthcare decisions. Patients wanting more information or assistance in preparing an Advance Directive may ask their nurse to contact a chaplain or dial 485.4150 on their room phone. Recognizing the dignity and vulnerability of each person as a patient, St. Mary’s Medical Center is a Catholic institution that operates under the mission of the Ethical and Religious Directives for Catholic Healthcare Services and has developed a list of patient rights and responsibilities. To access a copy of your full medical record, please fill out our Medical Records Request Form and submit via mail, fax or in person. You may fax your request to 812.485.7609. Normal business hours are Monday – Friday, 7:00 a.m. – 6:00 pm. For more information, please visit our Medical Records Request page. For further questions, please contact our Health Information Management Department at 812.485.4211. Monday-Friday, 7 a.m. - 6 p.m.
Monday-Friday, 7 a.m. - 3:30 p.m.
Hearing/Speech Impaired - Patients or family members with special accessibility needs should contact their nurse. Patients who are deaf and/or speech impaired may request a TTY (Teletypewriter phone). Arrangements can also be made to accommodate patients in need of mobility assistance. An electric tram is available for transportation to first floor locations. Language Interpretation Services - Language Services are available for those who do not speak English. Medically certified language interpreters and over the phone interpreter services are available. Please view our translated medical documents. You, or another responsible party, will be asked to sign a general consent form giving St. Vincent permission to treat your illness or injury. In some cases, you may be asked to sign additional consent forms for treatments and procedures ordered by your physician. A parent or guardian must sign forms for patients under 18 (unless he or she is an emancipated minor). Our goal is to make getting around our Medical Center campus as easy as possible. Please use the information here to help you find everything you might need while visiting our hospital. Should you have any additional questions about where something is located, please feel free to contact Patient Services at 812.485.4848. We offers many parking areas convenient to campus buildings. Parking areas are designated by large black letters on this campus parking map. An internal shuttle is available for transport of visitors on the first floor of St. Vincent Medical Center and the Center for Advanced Medicine. St. Vincent provides a free outdoor shuttle that takes patients and visitors from the main entrances and physician office buildings on campus to the parking lot. Tipping is not required or expected. Any tips received go to St. Vincent Care of the Poor Fund. For your assistance, below is information about St. Vincent Medical Center which may be of benefit to you during your inpatient stay or visit. This information is also available on the televisions and Guest Services Guide located in all our patient rooms. Thank you for choosing St. Vincent Medical Center for your care. Hours: Daily, 6:30 a.m. – 1:00 a.m., Closed 10 a.m. - 11 a.m.
Limited after hours service: 2:00 p.m. - 4:30 p.m., 7:00 p.m. – 1:00 a.m.
St. Vincent Medical Center offers “room service” for patient meals. These may be ordered between 6:30 a.m. and 6:30 p.m. by calling 485.6368. Visitor meal trays may also be ordered for $6.00 in the cafeteria. Visitors will receive a numbered meal ticket when ordering and on returning to the patient’s room should call 485.6368 to place their order. This tray will be delivered to the patient’s room. For more information on patient/visitor meal trays, please see St. Vincent Guest Services Guide. Shop the Gift Shoppe’s wide selection of flowers and gifts by calling 812.485.4269. St. Vincent is proud to provide our patients, families, associates and physicians the experience of God's compassion, love and healing presence through our chaplains and Pastoral Care Services. Please view our Pastoral Care services page, for more information on all we offer. Should you need a chaplain, please ask your nurse to contact one for you. All are welcome to St. Vincent Queen Chapel for prayer and reflection. Always check with a nurse before leaving your unit. Masses are televised from our Chapel on Channel 80. Holy Communion is offered daily to Catholic patients. Non-Catholic patients may request communion by dialing 485.4150 on their room phone. Other sacraments are available, such as Reconciliation or Anointing. Patients may ask their nurse to contact a chaplain to receive these. ATMs are located on the second floor, just outside the Garden Café and in the lobby of Medical Office Building West. As part of our personalized care, we are pleased to offer discounted hotel accommodations in the event overnight accommodations become necessary. These establishments have been personally visited by our staff to ensure standards of service, cleanliness, hotel staff friendliness and location. Rates offered by these hotels are discounted to St. Vincent patients, family and friends. St. Vincent does not receive any commission or payment by the hotels mentioned below. Please see discount information below. Please mention that you are referred by St. Vincent to receive the discounted rate. In the event that you have an unfavorable experience with any of the hotels mentioned below, please contact 812.485.6239. DoubleTree by Hilton Evansville - Use this link to make a reservation using the St. Vincent discounted rate. Drury Hotels - To make a reservation, please call 800.378.7946 and give the ID number 314307 to receive the St. Vincent discounted rate. Dunn Hospitality Group - Download the map/brochure to view locations and amenities offered at each of the hotels. To make a reservation, simply call the number on the map for the hotel of your choice. Remember to mention that you wish to receive the St. Vincent discount. Hampton Inn Evansville - To make a reservation, please call 812.473.5000 and tell them you would like the St. Vincent discount. You may also visit Hampton Inn Evansville to make reservations and learn more about their Evansville location and amenities. Holiday Inn Evansville Airport - To make a reservation, call 812.867.7999 or 800-HOLIDAY (800.465.4329) and ask for the St. Vincent negotiated rate. Additional information about the discounted rate. Residence Inn Evansville - To make a reservation, please call 812.471.7191 and mention the St. Vincent discount. You may also visit Residence Inn Evansville to make reservations and find out more about their Evansville location. 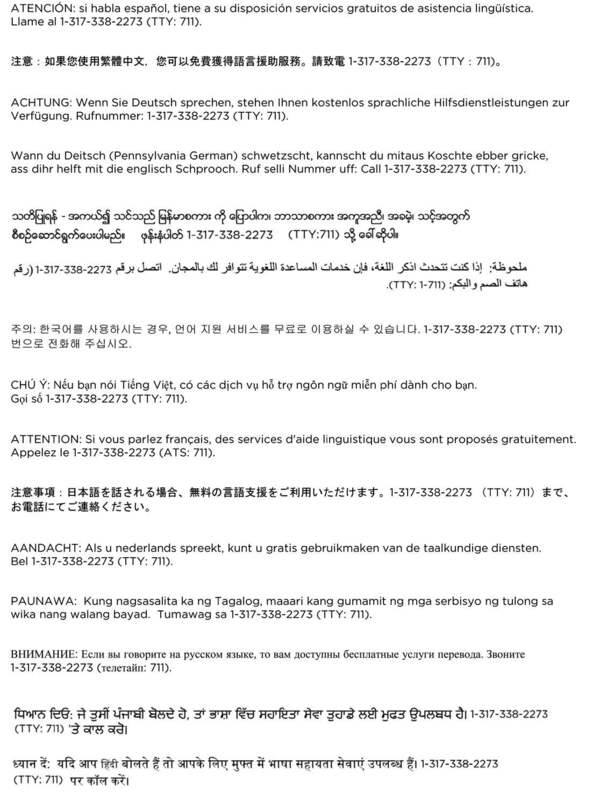 Language Services are available for those who do not speak English. Medically certified language interpreters and over the phone interpreter services are available. The following documents have been translated into Spanish to enhance the experience of our patients at St. Vincent. Callers may contact you directly by dialing the number posted in your room or by contacting the operator. Newspaper vending machines are located in the Gift Shoppe, Café, outside of the main entrance, at the entrance of the Hospital for Women and Children and the entrance of the Rehabilitation Institute. Mail and flowers sent to patients are delivered by St. Vincent volunteers. Outgoing mail can be given to a nurse or a St. Vincent volunteer. For your convenience, there is a US Postal Service mailbox located just outside the Medical Center entrance that faces Washington Avenue. Any mail received by St. Vincent after your discharge will be forwarded to your home address. The mission, vision and values at St. Vincent Warrick provide a strong foundation for the work we do — a framework that expresses our priorities in what we will achieve and how we will achieve them. Our mission is rooted in the loving ministry of Jesus as healer. We commit ourselves to serving all persons with special attention to those who are poor and vulnerable. Our Catholic health ministry is dedicated to spiritually centered, holistic care which sustains and improves the health of individuals and communities. We are advocates for a compassionate and just society through our actions and our words. Our Vision: We envision a strong, vibrant, Catholic health ministry in the United States, which will lead to the transformation of healthcare. We will ensure service that is committed to health and well-being for our communities and that responds to the needs of individuals throughout their life cycle. We will expand the role of the laity, in both leadership and sponsorship, to ensure a Catholic health ministry of the future.